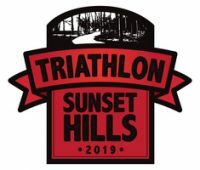 In addition to a strong presence at many of the local races, you just might find a contingent of tri club members working in support of these very same races as race volunteers. We are able to bring a level of experience to our positions that is hard to match. We get to cheer on our fellow club members who are out on the course and at the same time, caution all the racers to a tricky corner up ahead on a bike course because we’ve turned into that very corner on our own bikes many times before. We begin each year by volunteering in nearly every aspect of our own race, the Frozen Buns Run, and then select a number of events throughout the year in which a group volunteer effort is coordinated. These races are then grouped into the Volunteer series. Volunteers are typically not paid, but it doesn’t mean they can’t be rewarded and that’s the goal of the Volunteer series, to reward club members who dedicate their time in support of these races. While we do not require any club member to volunteer, we strongly encourage all members to participate in the volunteer events as a way to “give back” to the sport we all love. It is a great way to meet fellow members and gain a different perspective of each event by stepping outside the lines for a few hours. Often overlooked and underappreciated, volunteering is nevertheless an invaluable part of the success of any race, no matter how big or small. The Volunteer Series is a friendly volunteering competition between the Club members. Prizes will be awarded to the members with the highest points at the club’s end of the year party. Past awards include club logo apparel such as beanies, quarter-zip fleece tops, jackets, hoodies, and thermal mugs in 2018! Members will receive 1 point for volunteering at any other Club sponsor’s races (ex: Big Shark, Big River, MSE Racing). These events will need to be self-reported. Fill out a self report form to be properly credited for your efforts. Please double check the standings below to ensure you are correctly credited for all volunteer series events. Fill out a self-report form if there is a missing event. In addition to the volunteer series events listed below, the club will staff water stations at both the spring marathon on Sunday, April 7th and the fall Halloween half marathon on Sunday, October 20th. Both races are also part of the volunteer series and will count for 2 points each. If you have any questions about volunteering, please contact our volunteer coordinators, Michael Duchek or Jennifer Duchek at volunteer@stlouistriclub.com or submit a Contact Us form.